With Thanksgiving coming up, you might be planning out what kind of pie you will be eating. If you live at our house, you may have already eaten pie. Twice. Apple pie is my all time favorite. I found out years ago that this was an item I could not can though. I sat and ate the apple pie filling right out of the jar. On more than one occasion. 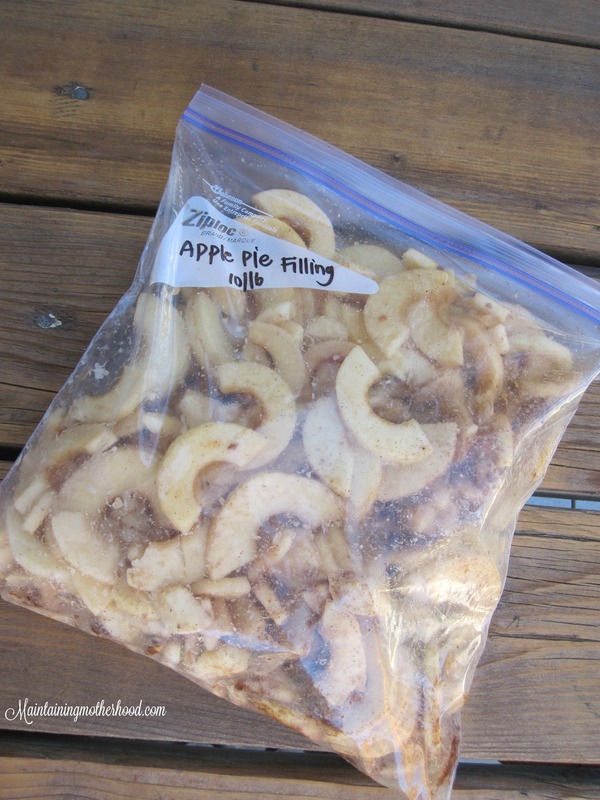 In order to keep the apple pies safe (from me) and available, we just freeze them. 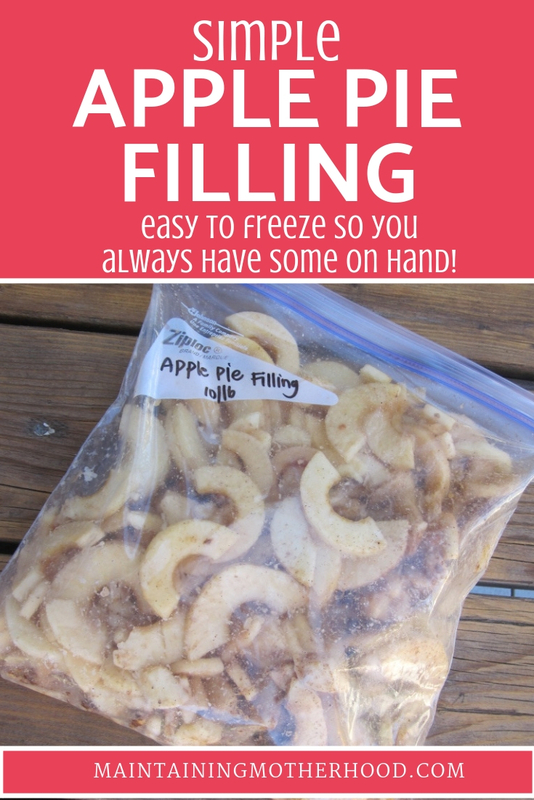 Something about eating frozen apple pie filling is not as appetizing… We make the apple pie filling in bulk and are able to whip up around 10 apple pie fillings in about an hour. 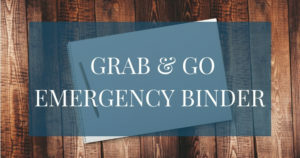 First, label all of your bags. 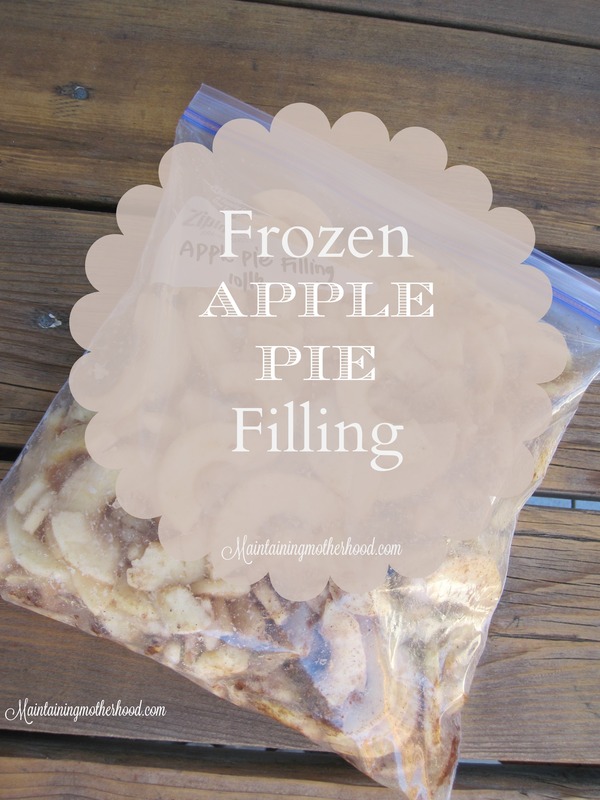 I like to use Ziploc Gallon Freezer bags so the pie filling doesn’t get freezer burn. Next, fill the freezer bags with all the dry ingredients. Cut the apples to whatever size you prefer the slices in your pie to be. Add the apples to the freezer bags with the dry ingredients. 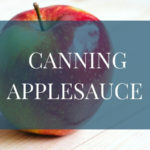 Give it a good shake to coat every apple slice with that cinnamon deliciousness! Pop that bag in the freezer until you are ready to enjoy it. 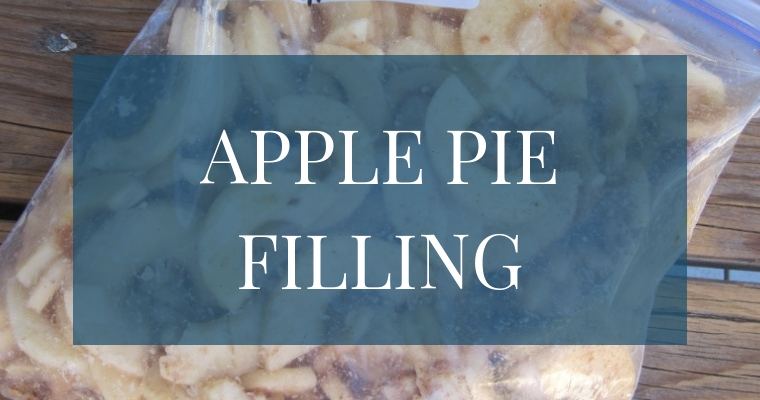 When you are ready, let it thaw and add to any pie crust! 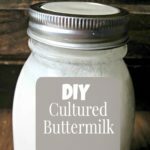 What recipe do I use? None other than the age old Betty Crocker Classic Apple Pie (with a few variations of course, because that’s how I roll). 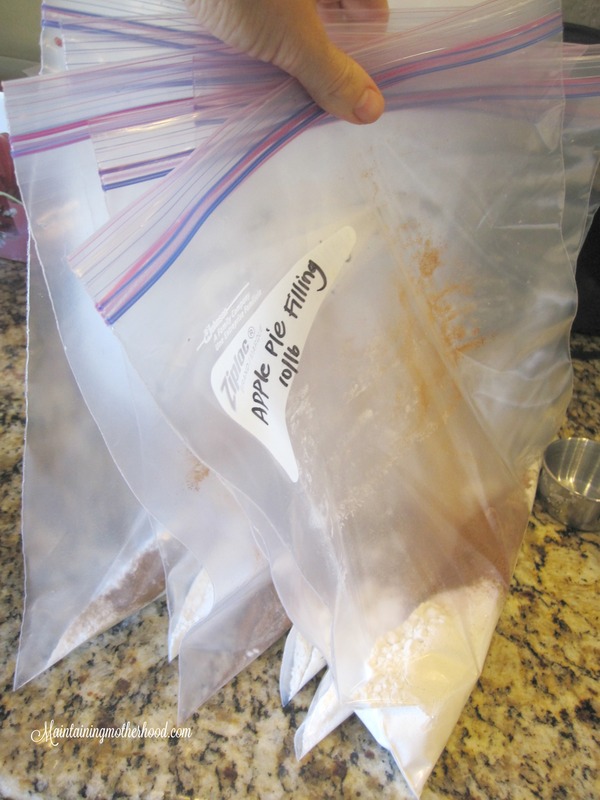 Mix sugar, flour, cinnamon, nutmeg and salt in gallon size freezer bag. 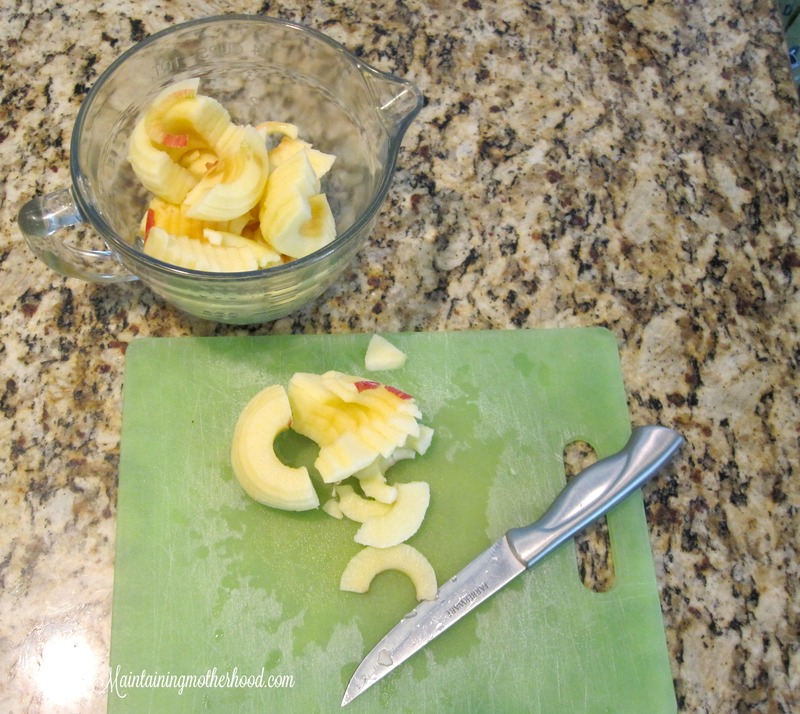 Core, peel, and slice apples and add to freezer bag. Mix well so apples slices are evenly coated. 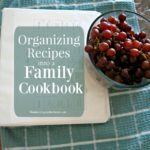 When you are ready to bake, remove from freezer and thaw. Bake at 425 for 35-45 minutes or until crust is light brown. 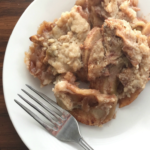 What is your favorite apple pie recipe? Brings back Million Dollar Apple memories 🙂 Good times! Million Dollar apples…Ah yes. It made for some great pictures! And the pie crust with the sprite and opera singing topped it all off! Mine don’t usually last very long because we love it so much! I usually save one to eat right before apples come on for the next season, so I know they last at least 1 year. Just what my wife was looking for, Thanks so much.